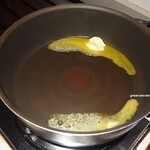 Heat the butter in the pan. 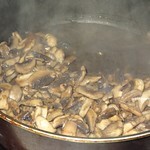 Add mushroom and salt and saute till mushroom is cooked. 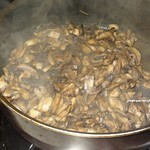 Add pepper powder and fry till mushroom is crisp. 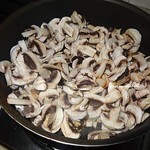 Mushroom will leave out the water and if you fry in medium high flame the water will evaporate. woow !!! luk at that that...so peppery !!!! lovely. Very simple, yet so delicious.. Indeed very peppery and delicious! 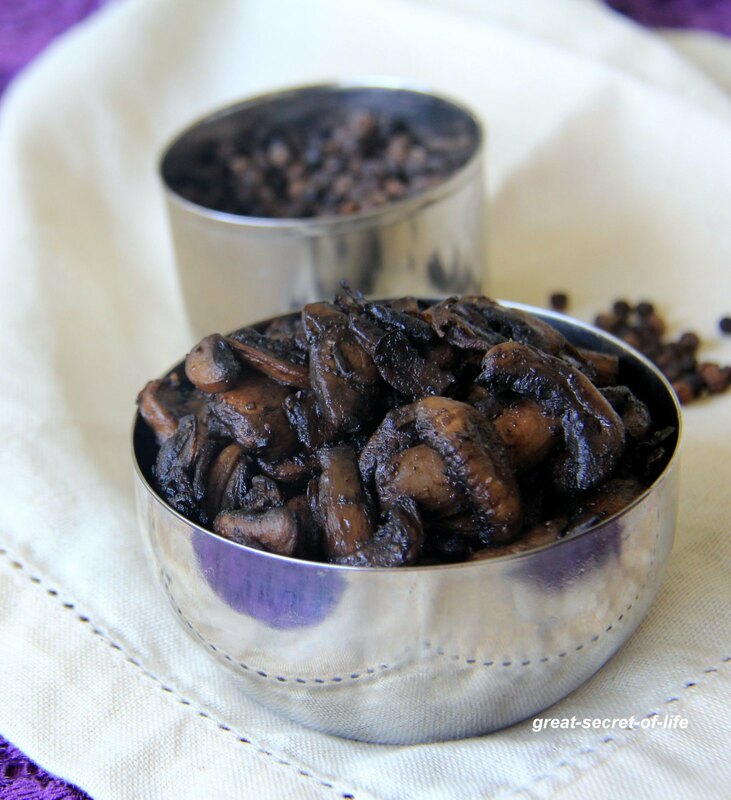 Delicious mushroom pepper fry Veena love it. 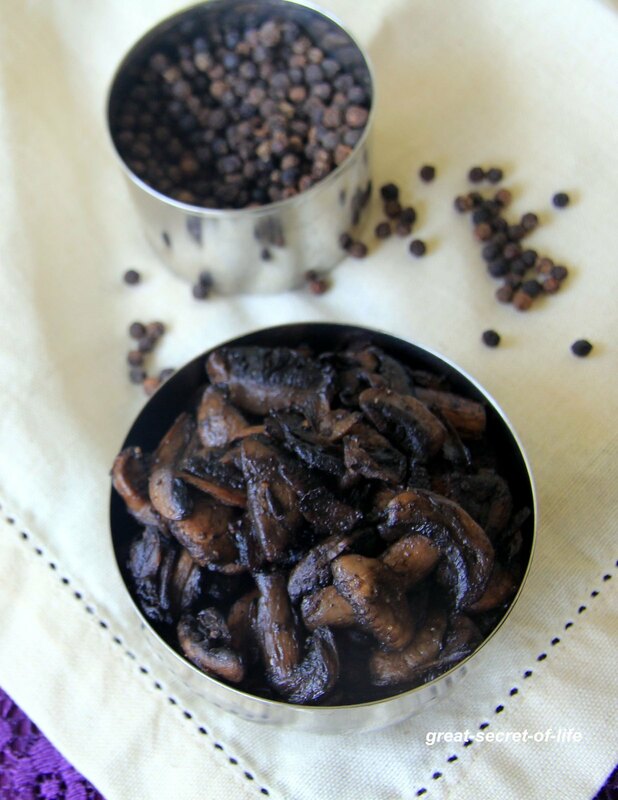 Interesting variation of the mushroom pepper fry :) I made this too recently, however a very different recipe. 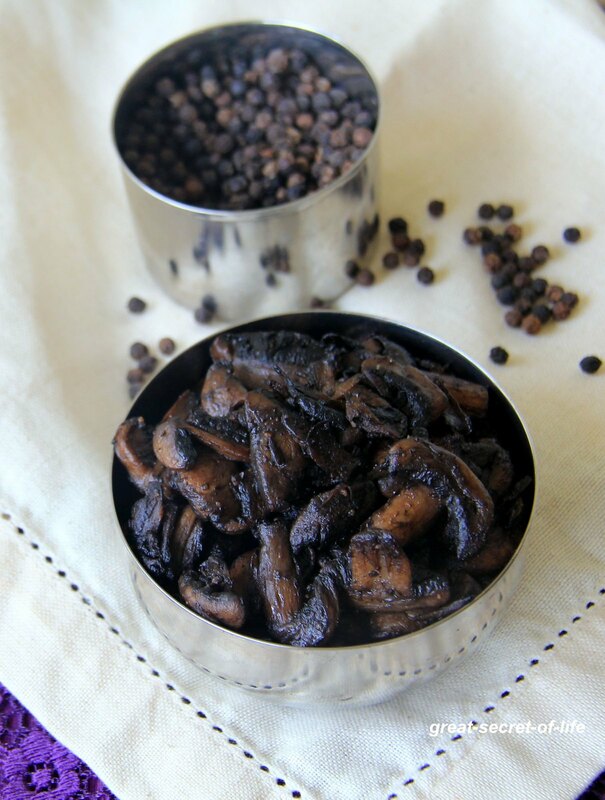 Pepper and mushrooms combine very well, don't they?! Wow this pepper fry was served with sprouts rice hmmm ..looks yummy. Wow wow ! Pepper mushroom looks fantastic ! I love mushrooms and try this for sure. looks so spicy and yumm.. Simple dish but looks delicious. Simple and healthy stir fry..